If you like masked heroines like Batgirl…you need to check out this ongoing web-series from ALZI production! They started with two Spider Gwen and a Batgirl video. After that they started the Batgirl web-series. So far it has 4 episodes and new ones seem to arrive every 2-3 weeks. Putting on the cowl for the first time! That doesn”t look good for her! He is yanking at the chin strap of her mask! Well, I really like how the series develops! Her enemies getting stronger but she manages to beat them. I think she will get into more problems in the future episodes… some (more) peril scenes included. Her costume is solid, the actress is pretty and talented and the action scenes are good for such a low-budget series. I hope for many more episodes with Batgirl and more footage from Spider-Gwen. Wow, what a bitter end for Batgirl in that episode. She couldn’t stop the thugs from unmasking her!!! Now she is into real trouble. I’m very curious how that will turn out for her. 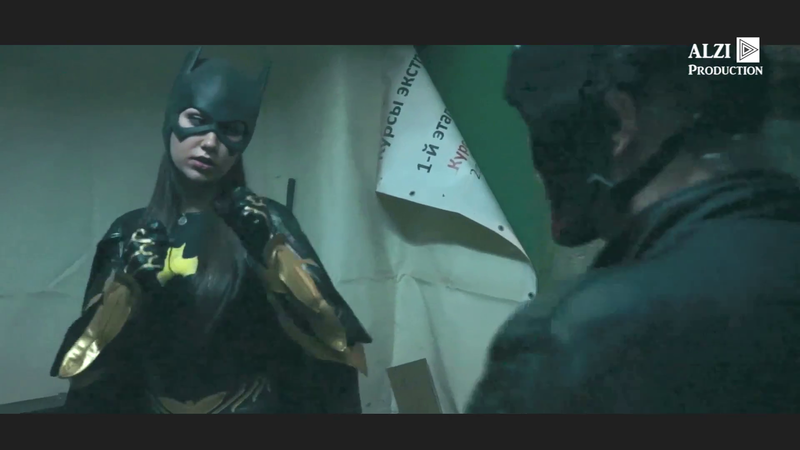 So, subscribe to them on Youtube if you want more ….Batgirl! What do you think about the series? What would you like to see in future episodes? Masks off! #37 – Batwoman unmasked by Batarang! That bit in the third video where the victorious Batgirl takes off the villains’s mask and says ‘game over’. I hope that in future episodes, we she a villain standing over a helpless, defeated Batgirl and he says ‘game over’ as he reaches for her mask. Or how about the end of that third video where the ‘victim’ is posing for selfies with Batgirl. How about the victim rips off Batgirl’s mask just as he’s about to take the photo? Of course, Batgirl grabs the camera, deletes the pictures and ‘rescues’ herself from being exposed. Welcome on the blog SS! I did have the same idea on your second suggestion…Batgirl getting overconfident and the “victim” gets curious…and grabs for the mask.